DigElogROCORI: Have You Ever Given Blood? 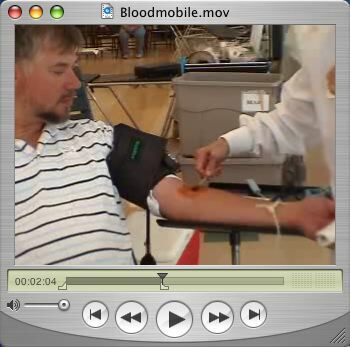 This past Monday, the Bloodmobile visited St. Boniface Catholic Church in Cold Spring seeking donars to help with both the local and national blood supply. The hurricanes named Katrina and Rita have drastically affected blood collections that would normally occur in these areas of the country. Have you ever given blood? Take a tour of the entire process from start to finish. It takes only an hour and from the results of this investigative video, "It makes you feel really good about what you did!" So how many ROCORI folks gave blood on this day? What would your guess be? A few dozen, fifty to a hundred, even more ? Watch this 4 minute clip and find out the answer.